Living Life by Design - with Alan and Mark: Time for Some Humour! As most of you probably know by now, I am recovering from a particularly nasty bout of Septicemia, which was touch and go there, for a while. I am now convalescing by taking it easy and letting nature take its healing course. 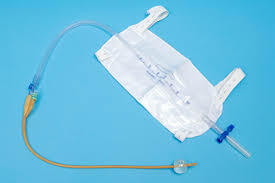 I have a temporary indwelling catheter, and am under a specialist with whom we are discussing next steps (which could involve reduction of the size of the prostate, or its complete removal). We've cancelled all house/pet sits for the rest of the year and I am not taking on any weddings until next Spring. Apart from feeling very tired after doing very simple activities, I'm feeling good, and have the best care-giver anyone could wish for in Mark. After a prolonged break from writing blogs, I'm now feeling that it's time for a little bit of humour, so here goes! In spite of the discomfort, you can pee as many times as you like during the night, without getting up!!! Hope you got a little chuckle from that.